Track details can be seen [Hidden link. Register to see links.]. Like my last upload this one is a 7z to prevent potential download issues on Mega. I tried really hard to do direct rips the the main issue I ran into is the game uses it's own format for music, and nothing I could do would decipher anything other then individual samples that the music plays. I then attempted ripping via an Emulator, but found the sound quality to be... well, not good. So what I ended up doing is attaching a 3DS directly to my computer via a gold plated 3.5mm Male to Male audio cable, set the sound effects to 0, and captured the music via Audacity, from there I tried my best to find the most adequate looping points and cut them there, I'm satisfied with the result. Because most of the tracks are playable via any in-game Music Panel or Radio, capturing a majority of the soundtrack wasn't particularly difficult, however, there were a few track that aren't listed in those locations. Because of this, getting some of the tracks was rather challenging actually. Particularly the most difficult ones to capture were Razor Burn and Mama Hogg's Theme. Razor Burn was a pain because, due to how the Sims 2 for the DS plays, you have to play the game once every hour of a full day and collect a license plate from a specific location at each hour. Since there's 24 hours, there's 24 different plates. Collecting 12 plates unlocks Combat Mode, and all 24 get's your Razor Burn. I ended up abusing the 3DS's internal clock to attain this one. Mama Hogg's Theme is really strange because it requires a set of luck based circumstances to hear. Basically, you need Mama Hogg to be in the Saloon in game, and have her walk over to the radio in order to hear this one. Basically, it's entirely RNG based. I had an easier time with this then Razor Burn, admittedly. It's worth mentioning that 3 of the conversation themes are often a lot longer than you could ever hear ordinarily, I had to purposely fill my Max Level Sanity Meter completely and purposely allow myself to fail until it was 99% depeated. Not difficult to record but a bit more annoying. Players of the Sims 2 for GBA (Game Boy Advance) will recognize most of the tunes here, actually, as the Sims 2 for Nintendo DS actually uses higher quality versions of many tracks from that game, so if you're a fan of that game, I'd recommend giving this a listen. 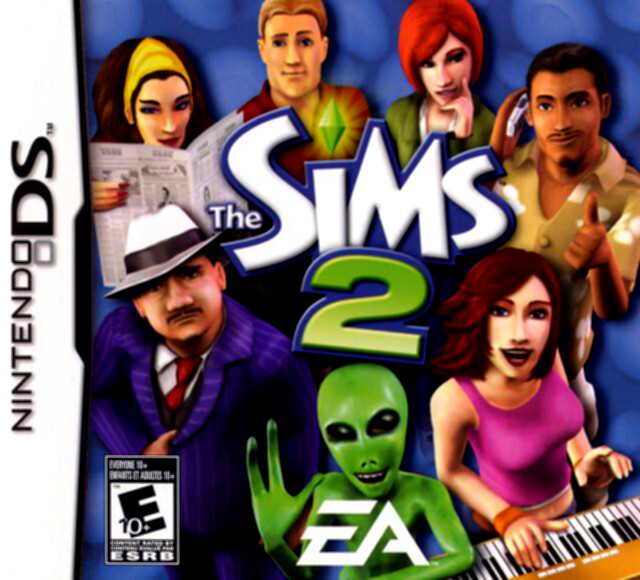 In closing, If you guys haven't tried out the Sims 2 for the DS, I'd recommend it. It's nothing you'd expect from a Sims game, it is it's own unique title, that much I'll tell you. Ian Stocker's work here on the music is top notch. My favorite tracks are Create-A-Sim, Techno, and Cheer Up. So Ian Stocker himself has posted a video containing high quality recordings of prototype materials for the soundtrack of Sims 2 DS/GBA. I decided to pull the video and dump the audio in as high of quality as possible and add the additional tracks to the soundtrack. I've also added the original quality versions of both the Xizzle and Ratticator Victory cutscenes, to finish things out until Ian himself posts his Sims 2 DS soundtrack in higher quality.